When conservative treatments like physical therapy and injections fail to relieve your back pain, minimally invasive spine fusion may be an effective option for treating the underlying condition causing your pain. 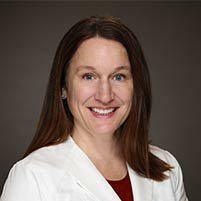 Dr. Carrie Shulman at The Florida Center for Minimally Invasive Neurosurgery is an expert in stabilizing your spine and relieving pain using minimally invasive spine fusion. To learn more about treatment options for your spine, call the office in Clearwater, Tampa Bay, Florida, or book an appointment online. What is a spine fusion? Spine fusion is a surgical procedure in which two vertebrae are permanently joined together. The procedure stabilizes your spine and relieves pain by removing a damaged disc and eliminating motion between spinal vertebrae. It can also be done to correct a deformity. What conditions are treated with a spinal fusion? Minimally invasive surgery is performed using small incisions (less than an inch long) and specialized surgical instruments in tiny tubes that can be inserted through the incisions. Using an operating microscope or an endoscope — a thin, fiber-optic tube containing a camera and lighting — Dr. Shulman has a high-definition, magnified view of the surgical site and can complete microsurgery without a traditional, large, open incision. How is spine fusion surgery performed? Dr. Shulman uses different techniques that access your spine from the front, back, or side, depending on your underlying condition and the area of the spine being fused. No matter which technique is the best option for you, the procedure follows similar steps. To perform a spinal fusion, Dr. Shulman removes the damaged disc, then replaces it with material that promotes bone growth between the adjoining vertebrae. Several materials effectively promote bone fusion, including a traditional bone graft using your own bone, synthetic bone replacement, or a fusion cage. The fusion cage is a small device that’s filled with bone graft substitutes containing growth factors that trigger bone regeneration. Are your muscles cut during minimally invasive spine surgery? No, your muscles are not cut during minimally invasive spine fusion. Dr. Shulman uses a tubular retractor that progressively dilates muscles, creating an opening for surgical tools without cutting muscles or soft tissues. Once your surgery is finished, the tubular retractor is removed, and the muscles return to their original position intact. What are the benefits of minimally invasive spine fusion surgery? If you continue to have back pain, call The Florida Center for Minimally Invasive Neurosurgery or book an appointment online.